We are making hats and fascinators in Melbourne from 1963 and have created this true masterpiece just for you. 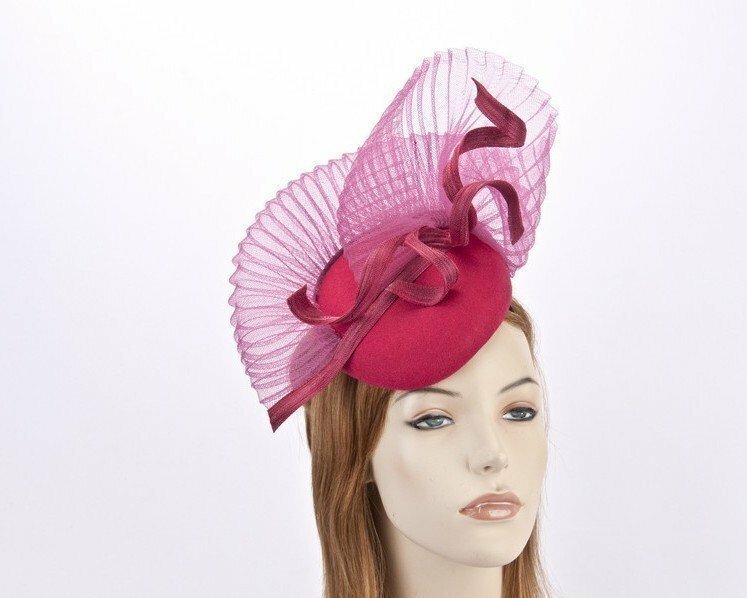 Made from fines materials, this fuchsia pillbox fascinator features unique look — a signature of Fillies Collection brand. We custom made each one of this beautiful fascinators, so allow few days for creation of yours.